Let me be honest here – there are gadgets I get for review that I rip open (carefully though, as I need to return it) in excitement, and others that sit in their boxes while I think of excuses why not to try it, or feature it. The Philips Airfryer fell into the latter category, which is a bit unfair. I had read good reviews about it – especially from busy moms as it’s a time saver – and I had willingly taken it for review, but I didn’t really think it was worth the effort, nor that the results would be so good. Until Sunday-night dinner, when I realised I needed to just try the thing. I had chicken breasts and thighs, some Italian rub (a Woolworths variety), and a packet of frozen sweet potato chips. And within 35 miinutes, I had an amazing “fried” meal for two, with leftovers. 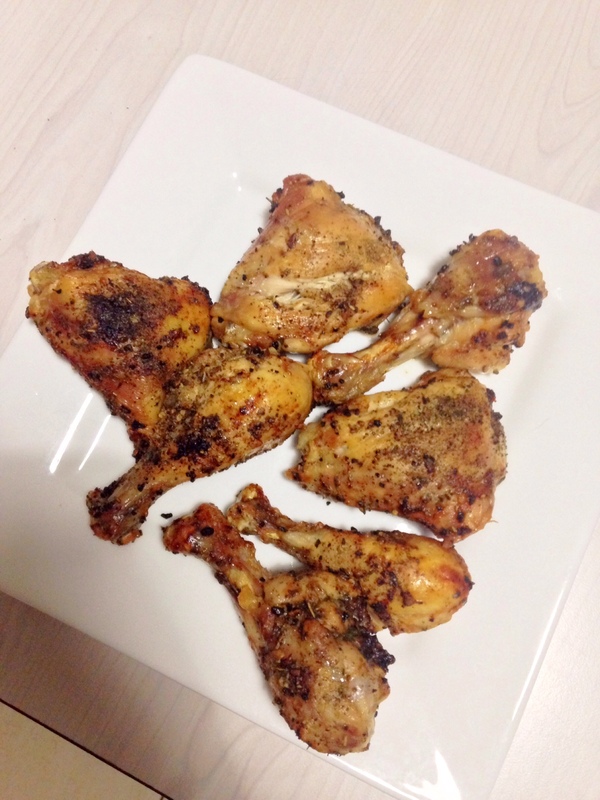 I used minimal oil on the chicken, and eight pieces took 25 minutes, with no turning or heating necessary. 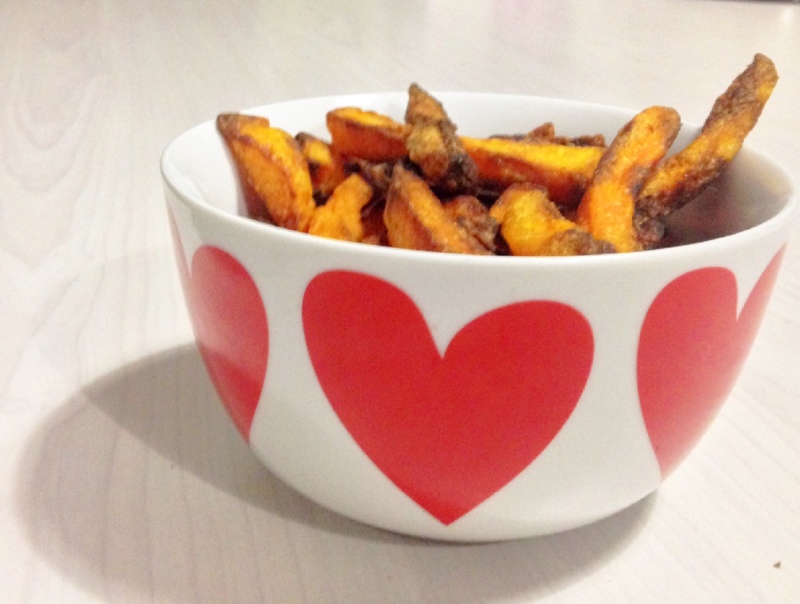 I didn’t use any oil or spices on the chips, and they were crisp and awesome – way better than the result I get from my oven (without dissing my perfectly good oven). So what is the Airfryer? It’s a compact appliances that uses what’s called Rapid Air technology to fry food with air so that food is crunchy on the outside, and tender on the inside. You can fy, grill, roast and even bake a cake in it (though I’d be a bit too nervous to try this). It doesn’t need fat to cook, but you can still add small – or large amounts – to what you’re cooking (all excess fat is drained during cooking). It can hold up to 800g at a time, and produces no smell or smoke. Excuse the expression, but the Airfryer blew me away, and I was really impressed. I come across a lot of gadgets and appliances that tend to complicate rather than simplify, or don’t live up to their promises, but this does. Can I live without it? Yes, but I’m not sure I want to anymore, as I’m convinced I will cook more and buy less ready-prepared food. 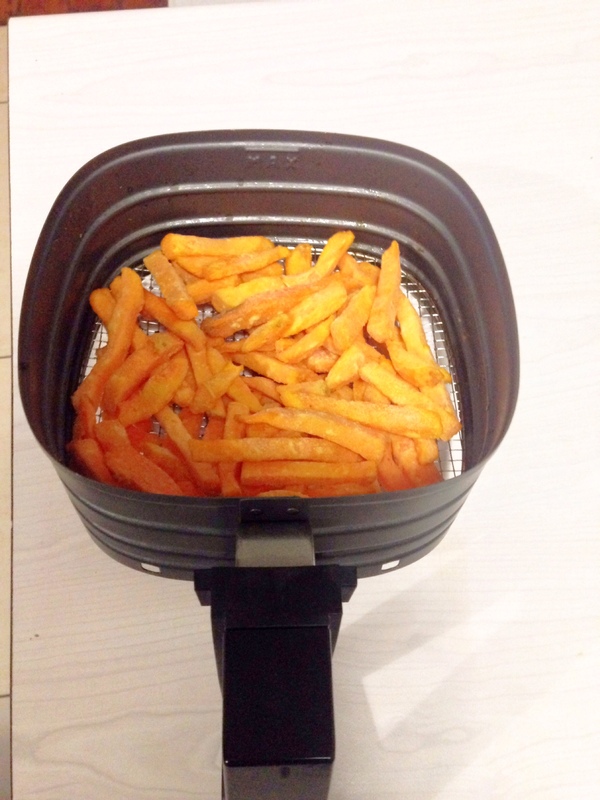 The Philips Airfryer is available for around R2000 from electronics and homeware stores. Wonderful school lunchbox food – and how to make it!